Dealing with skin imperfections is annoying, especially for women. It takes a toll on our self-confidence and it makes a regular skincare routine even more of a hassle. Dark spots are one type of skin problem known to many women with aging skin. Still, there’s no room for despair here. You can easily win the battle with age spots if you treat your skin right. Learn how to make simple, cost-effective DIY face masks to treat dark spots on the face and neck. 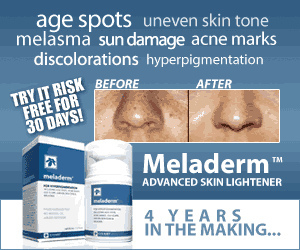 Dark spots, also known as hyperpigmentation or age spots, usually appear as a result of prolonged sun exposure. They don’t appear immediately after spending a day in the sun though. Sun damage accumulates over the years and causes dark spots to appear on your face when you reach middle age. They are most common in women with fair skin tones over the age of 40, but some can appear at any age, on any skin type. Dark spots appear as imperfections of the skin tone, but not in its texture. This means that they have the same appearance as the rest of the skin, except for the color. 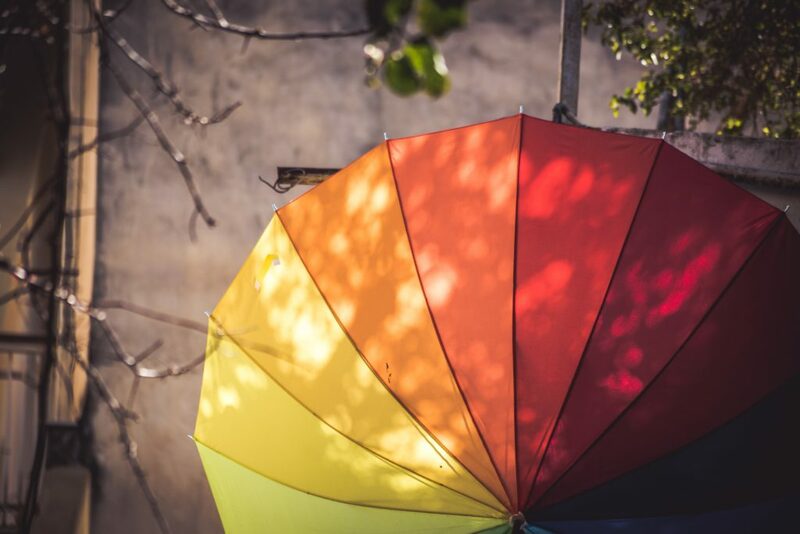 The color of dark spots ranges from light to dark brown or even black. The difference in color comes from an increase in the production of melanin, the skin’s natural pigment. Doctors report that dark spots are among the most common skin problems today, as the sun becomes more and more dangerous for us due to global warming. Your doctor may decide to take a sample of a more prominent dark spot on your skin to test it for possible skin cancer indications. However, most of the time they’re not dangerous. You now know that regular and proper sun protection can prevent dark spots later in life. But can we deal with them once they’ve shown already? How to Fade Dark Spots Naturally? Luckily, many treatments for dark spots exist today. You can simply mask them effectively with a number of cutting-edge concealers. You could also consult a dermatologist and choose between techniques such as chemical peels, dermabrasion or a laser to remove dark spots for good. If you are like me, however, you prefer to deal with skin conditions in an all-natural way. And why wouldn’t you, when there are so many at-home, fully natural DIY recipes for treating dark spots that actually work! 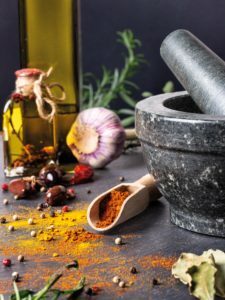 Over the years I’ve been consulting holistic medical practitioners and nutritionists learning a whole bunch about what types of natural remedies actually work and which ones fall in the myths category. The good news is that when it comes to skincare, you can rarely go wrong with any natural ingredient (except for certain essential oils which can be unsafe to use on the skin). Still, make sure to conduct a test on a small patch of skin before applying to the whole face since you might be allergic or oversensitive to some ingredients. Here’s a list of DIY recipes that work best for getting rid of dark spots on the face and neck. They are all easy to make from stuff you find in the kitchen pantry. Try them, pick your favorites and stick with them. You should only expect results within one to two months of consistent application. The ancient beauty elixir is famous mostly as a face moisturizer. Honey is a strong humectant, which means it absorbs and retains moisture. 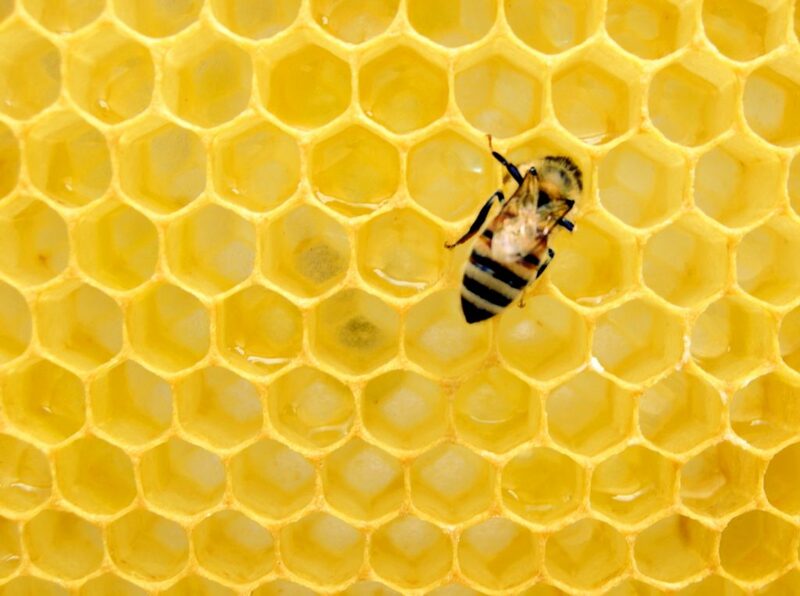 When applied to the skin, honey can act as a natural barrier for moisture keeping your skin hydrated. However, its moisturizing ability isn’t the only benefit of honey for the skin. Honey is an old favorite for combating fine lines and wrinkles and treating blemishes. The regular use of honey on your face starting when you’re in your 20’s can significantly reduce the appearance of dark spots later in life. What’s more, honey is a great base for any DIY mask for treating dark spots. Other ingredients good at diminishing the appearance of dark spots can always be mixed with honey for maximum benefits. What’s a Good Recipe to Use Honey for Dark Spots? Mash 1 ripe banana with a fork and add 1 tablespoon of raw honey and a few squeezes of lemon juice. The combination of lemon and honey works as a perfect skin bleaching catalysts. Additionally, bananas pack a range of antioxidants and minerals whose effect is enhanced by the Vitamin C from the lemon. Apply on a clean, damp face and leave it on for about 15 minutes. Rinse off and follow up with a moisturizer. Apply this mask daily for visible results. Alternately, a honey and lemon blend can be applied to dark spots before going to bed. Leave it overnight and wash in the morning. Do not get discouraged by the messiness of having sticky honey on your face while sleeping. It gets less sticky as it dries off. Eventually, you get used to it and it’s absolutely worth it. It leaves your skin refreshed, soft and supple. You might have heard of this healing herb as an ingredient in natural supplements or in the context of its cancer-fighting properties. This powerful plant of the ginger family can effectively prevent and cure several ailments thanks to the healing compound known as curcumin. Curcumin boasts impressive, scientifically-backed anti-inflammatory properties, which means it helps the body fight inflammation caused by all sorts of bacteria. Curcumin has also been found to increase the body’s antioxidant capacity, making it a perfect ingredient for skincare. Apparently, turmeric has amazing effects against spot-causing bacteria when applied topically as well. Beauty rituals in India often center around turmeric and for a reason. How to use turmeric to treat dark spots? Mix 2 tablespoons of yogurt with 2 teaspoons raw honey and 2 teaspoons high-quality turmeric powder. Apply liberally to your face and neck and focus on the areas with dark spots. Leave it on for about 15 minutes then rinse and follow up with a moisturizer. While the mask itself can safely stay on for longer, keeping it on can cause temporary discoloration. Keep this in mind and in case you aren’t going anywhere after the application, use the occasion to leave your mask on longer. Exclude the eye area and always test it on a patch of skin beforehand – some cases of turmeric allergy have been recorded. The old-time favorite of holistic health practitioners is packed with skin-lightening citric acid. Even though putting acid on your face may sound harsh, citric acid can definitely be your friend. It’s known for its ability to brighten skin tone and remove dead cells and impurities from the skin epidermis. If used regularly to treat dark spots, it can eventually help minimize their appearance. 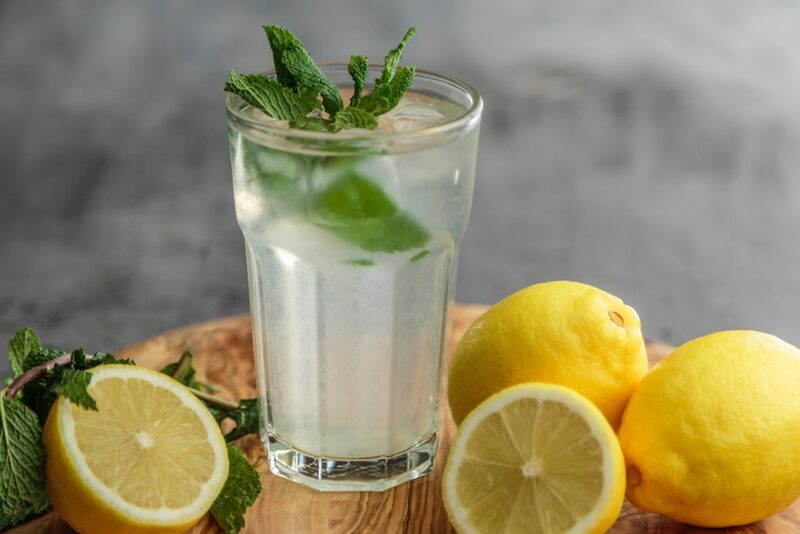 Using lemon juice for dark spots is as simple as making yourself a lemonade. Dip a cotton pad in some fresh lemon juice and apply to the area affected by dark spots. Leave on overnight or for some 30 minutes if you’re applying it at daytime. If it gives you a prickly feeling, wash it off without waiting the full 30 minutes to pass and dilute it slightly with water next time you use it. Keep up with the practice for at least two months to reap the full benefits. For sensitive skin, it’s best to always mix it with a bit of water first. Another acidic ingredient from the kitchen which can make dark spots disappear. The alpha hydroxy acid contained in this therapeutic liquid has the power to even out skin tone and reduce discoloration. It also acts as a mild exfoliator removing dead cells and dirt from the skin. 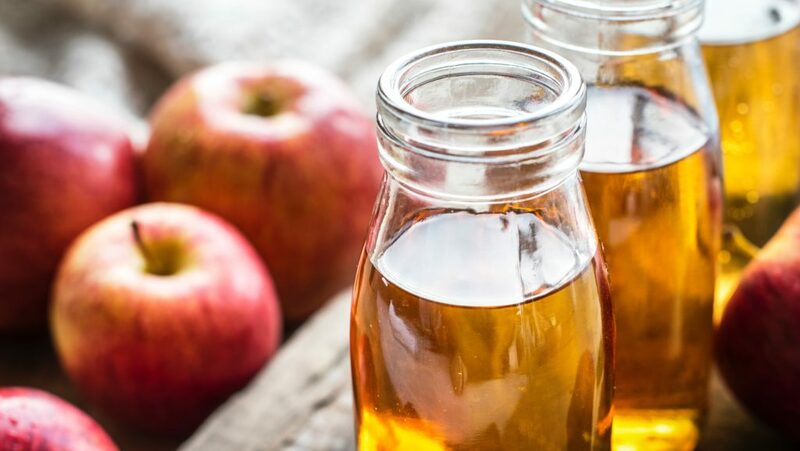 To use apple cider vinegar on dark spots, dilute one part natural organic apple cider vinegar into one part water. Dampen a cotton bowl and apply on the dark spots twice a day. Leave it on the skin for up to half an hour and rinse. Follow up with a mild natural moisturizer, such as argan or coconut oil. Tip: For the best results, make sure you source it locally. Farmers markets are a great place to buy some. If it has floats inside it means it’s truly natural and you wanna pack it in your bag as soon as possible. Clear supermarket varieties have been treated at high temperatures as part of the pasteurization process which drastically lowers their beneficial effect for the skin. This oil has an immediate skin-lightening effect and works wonders for blemishes and dark spots. It comes from the sandalwood tree, so it has a pleasant, woody fragrance. Be careful though: as with any essential oil, it’s important to use it in moderation. Essential oils shouldn’t be applied directly to the skin because of their highly concentrated content. To dilute essential oils before application we use so-called carrier oils. It must sound awfully complicated at this point, but it’s not. Carrier oils are oils such as olive oil, almond oil, coconut oil or avocado oil. Tip: the best way to tell apart carrier oils from essential oils is the size of the bottle. 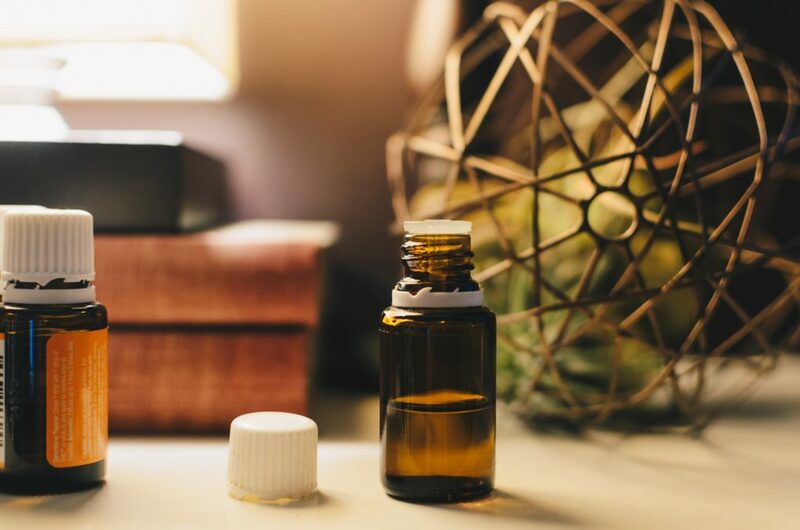 Essential oils come in tiny, small bottles with a dropper and usually have a strong smell. Carrier oils are all those that come in larger sized bottles and without any smell or with a modest and not necessarily nice smell. How to use sandalwood oil to remove dark spots? Mix together 2 tablespoons of coconut oil and 10 drops of sandalwood essential oil and apply to the skin affected with dark spots. Massage gently until the oil absorbs. Depending on the size of the affected area, you may have some leftover oil. It’s okay to keep it in an airtight container for the following day. Next time you can adjust the dose proportionately. Repeat daily for at least two months. I recommend using it at night, right before going to bed. Choose organic, extra virgin coconut oil and high-quality essential oil if possible. Always test on a small patch of skin, especially when it comes to recipes containing essential oils. Another way to reap the sandalwood tree benefits for your skin is by using sandalwood powder. Ground bark from the India-native sandalwood tree, the powder is a regular ingredient in traditional ayurvedic holistic remedies. Mix 1 teaspoon of sandalwood powder with 1 teaspoon coconut oil until you get a smooth paste. Apply on the affected area and leave it overnight. With consistent use, you will notice how dark spots fade naturally. Another way to use the powder is by mixing some of it with 2 tablespoons of rose water. Use this as a beauty tonic to strengthen the action of topically applied sandalwood paste. This is another essential oil that can come to the rescue when faced with dark spots. Primarily touted for its scar prevention benefits, frankincense essential oil can also reduce the appearance of age spots. Use it as soon as you notice a dark spot forming. How to use frankincense oil to remove dark spots? Add up to 6 drops of frankincense oil to a tablespoon of argan oil for the ultimate all-natural youth serum. Argan oil’s wrinkle-fighting properties, strengthened by the frankincense oil’s help against discoloration will leave a visible effect on dark spots. Massage into the skin thoroughly as part of your evening routine. The argan oil will deeply moisturize your skin, but you can combine this serum with your regular moisturizer overall. Another way to use this oil is a good ol’ face steam. Go for this on a nice Friday evening for some relaxation time after a stressful week. Boil a pot of organic camomile tea and add two drops of frankincense essential oil. Steam your face until the water cools off, holding a clean towel above your head. Rinse and follow up with a moisturizer. Ideally, practice this twice a week. Papaya contains an enzyme called papain, which slows down skin pigmentation among other skin benefits. The skin-lightening effect of papain, combined with a high content of Vitamin C and alpha hydroxy acids can also provide powerful natural exfoliation. As an added bonus, papaya is a good natural ingredient for oily and acne-prone skin. Papaya might not be a safe option for sensitive skin, but as we said, always make a patch test before you apply it to the whole face. 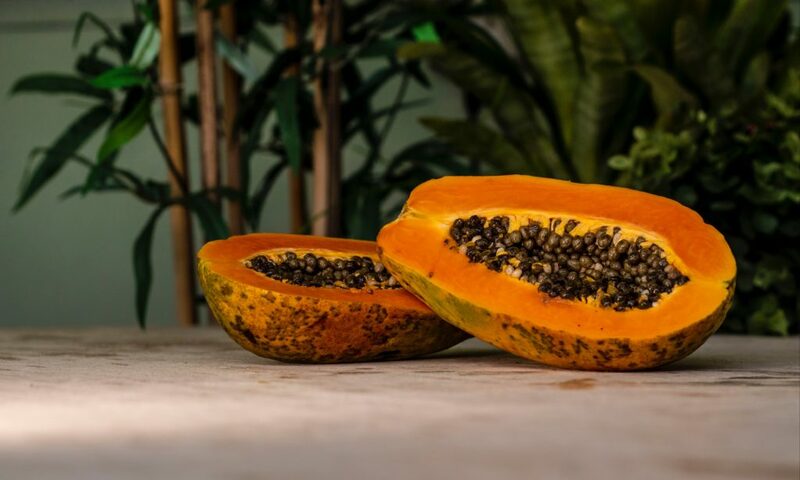 How to use papaya for treating dark spots? You will need about ¼ pounds of ripe papaya. Cut it into pieces and blend it together with a few pieces of cucumber (about ¼ of a regular-sized cucumber) and 1 tablespoon of honey (we said you’ll be using honey a lot in DIY skin remedies). Apply the mask on a previously cleaned face and let it sit for up to 20 minutes. Rinse and gently massage your usual moisturizer. You may need to use warm water to dissolve the hardened mixture on your face, but be careful not to make it hot. Treat your face gently. The well-known skin moisturizer has been around in natural (and conventional) skincare for quite a while. 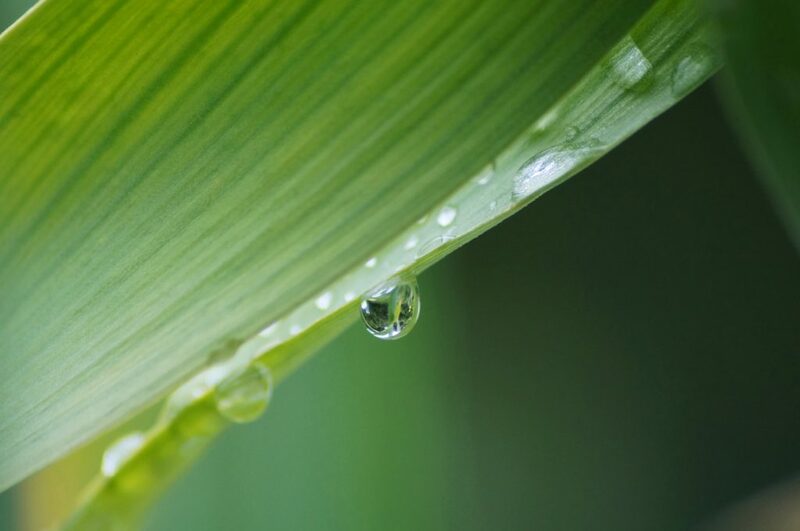 The gel from this amazing plant can help you maintain a glowy skin, reducing age spots as well. Aloesin is a natural compound found in the Aloe Vera plant, which is found to inhibit the overproduction of melanin in the skin. The best way to use aloe on dark spots is to directly apply the fresh pulp from the plant. To extract aloe vera gel from the leaves use a sharp knife. Bend it horizontally and peel off the skin on both sides. Collect the gel in a clean jar and use it directly on the skin. The fresher it is the better. Rub it onto the skin area with dark spots and leave it to get absorbed. You don’t have to rinse it afterward since it won’t clog your pores. You can leave it overnight or during the day. Repeat the practice every other day. Another natural product that’s known for its ability to reduce skin pigmentation. Made from castor seeds, the oil is an age-old ingredient present in beauty regimens for centuries. It’s primarily celebrated for its effectiveness in fading scars naturally. Regular application of castor oil twice a day can have a visible impact on reducing age spots. Using castor oil on the skin is simple: pour about 1 teaspoon of castor oil on your hands and massage into the skin on a previously cleaned face. Repeat this twice daily, as part of your morning and evening routine. Castor oil might not feel well on overly dry skin. For this skin type, mix it with coconut, almond or olive oil. Feel free to experiment and find your own perfect blend. Another option is to mix in some turmeric. Castor oil and turmeric combine well in their skin benefiting properties. Just as almost any other skin condition, dark spots can be treated naturally. DIY remedies for fading dark spots are safe, cheap and simple to make. Food ingredients form your kitchen such as honey, turmeric, and lemon juice are the main actors on the scene of natural skincare. You know what your skin is getting and there are no harmful chemicals involved. The only downside to natural treatments for dark spots is that you need to be patient. No immediate results are possible, but with consistent application for at least two months, you will start noticing a difference. And again, like any other skin condition, it’s better to work on prevention than to treat already formed spots. Next time you leave the house, put some proper sun protection on.